We'll cover Residential and Commercial Flat roofs | Polyurea Coatings. The Professional, affordable flat roof repair and replacement guys. Using top rated materials, Guaranteed! For the residents and business owners of Kitchener, Guelph, Waterloo and Cambridge, GTA Ontario Flat Roofers serves up a variety of roof types and waterproof coatings for all types of replacement roofing and repairs; we take great care in selecting our products with best quality and price in mind. Exacting workmanship and personal attention to each and every customer is our mission. Kitchener, like most other great cities in the northern locations, can suffer from extreme weather which inevitably will cause damage given enough time. The objective is to make sure that the products can last as long as possible and that wear and tear is always caught before damaging leaks can spring. Shingle roofs, flat roof resurfacing, flat roof replacement and superhard, waterproof coatings are what we specialize in. We are fully knowledgeable with all types of roofs, in particular, industrial and commercial flat roof systems, Our roofing company also does residential flat roof and shingles with customer satisfaction being our number one goal. If you live in the Kitchener area, make uis your roofing contractor in Kitchener choice; we will get your roof work done, whether its inspection, repair or full roof replacement. ​Kitchener, located in southeastern Ontario is a thriving community first settled in the very early 1800's by German speaking Mennonites and was actually named Berlin. Kitchener was part of the Municipality of Waterloo and has since become known as one half of the Twin cities of Kitchener/Waterloo, similar in history but diverse in politics and business. Kitchener is known for THE MUSEUM which features interactive art and science exhibits. Another historical attraction is the Joseph Schneider Haus; a living-history museum recreating life in the 19th century and the Waterloo Region Museum/ Doon Heritage Village help convey the early-1900s life with farm house and blacksmith buildings. Waterloo - The Waterloo area was originally settled by MENNONITES (named after Menno Simons (1496–1561) of the Netherlands) by the Erbs in 1806, a family who had arrived from Pennsylvania on what was known as the German Company Tract. In 1816 the area was made township and renamed from Erbsville to Waterloo after Wellington's well known victory over Napoleon in 1815. 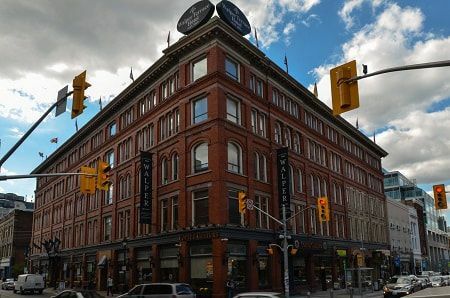 Waterloo remains a vibrant area with the highly thought of Waterloo University and home to the St. Jacobs Farmers Market where people come from far and wide to enjoy the shopping and local food. The town name Preston is derived from the hometown of William Scollick, who was surveyor and a native of Preston, Lancashire in England. During the 1800's some German-speaking Mennonites, again from Pennsylvania settled in the area purchasing land to develop. In particular, John Erb who purchased 7,500 acres. (HESPELER) Originally called Bergeytown; then New Hope; Jacob Hespeler arrived in the area in 1845 and purchased 145 acres of land on the Speed River near the Grand river. Eventually New Hope was incorporated as the village of Hespeler in 1859. Growth in the area was facilitated by the arrival of the Great Western Railway running from Galt to Guelph. Like many of the towns in the area, industry was prominent including the Hespeler hockey stick factory, sticks many of us grew up on. In 1973 Hespeler joined with Preston and Galt to form Cambridge as part of the Regional Municipality of Waterloo. 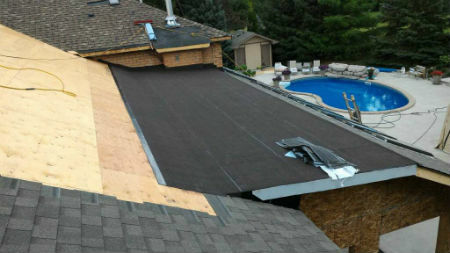 A Roofing Maintenance program in Kitchener makes perfect sense. 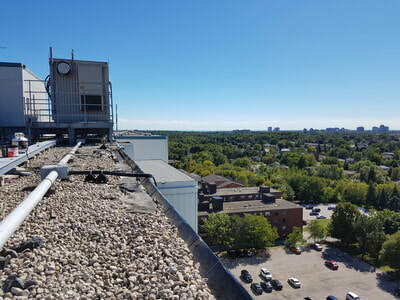 Kitchener residents know a thing or two about maintenance when it comes to any type of roof, especially when you consider the severe weather we experience here. Snow, hail, howling winds and ice can cause damage at any time and in the summer, Southern Ontario gets plenty of searing sunshine. ​It cannot be overstated how damaging a leak can become if not dealt with right away. .Any small crack or bubble can lead to larger openings and breaches which will lead to larger leaks and other problems that will get worse very quickly. Easy repairs versus costly repairs, or replacement, you make the call. But if you want a valid assessment so you can know exactly the condition of your roof, then feel free to call. Kitchener residents have concerns about the environment and we understand the importance of roofing residual results on the environment. 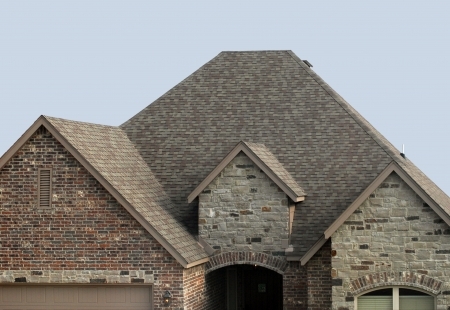 We know the impact of each product we represent and what types of roofs are best for you. Environmental impact has become more important as we continue to develop our towns and cities. The rubber membranes from the EPDM system seem to have the most traction for recycling, eventually becoming walkways and pathways after recycling for example but again, we can tell the pros and cons of everything we remove and replace. With ballasted roofs, the use of soil instead of gravel as the ballast go a long way to creating an eco roof that provides an opportunity for plantings and the use of non-polluting materials. Our coatings are long lasting and a sensible way to go as well. If you live in Kitchener - Waterloo, exposure to heat and frigid cold temperatures and even hail is not uncommon. If your roof has asphalt shingles twelve years or older, you need to have the roof inspected for deficiencies periodically, and flat roofs should probably be checked every couple of years after 20 years or so. See HOME ROOFING SYSTEMS for more on decorative roofing. Modified bitumen roof systems is a layered asphalt combined with a rubber compound which actually acts as the waterproof sealing this system is known for. TPO roofing is typically installed as fully adhered or mechanically attached. 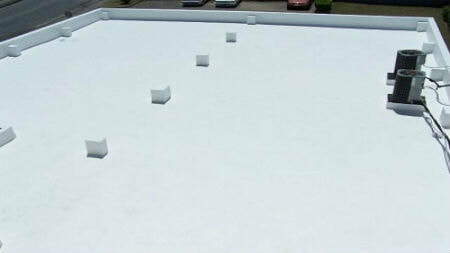 It is a single-ply (see above) reflective roofing membrane made from polymerized synthetics including some rubber. ​﻿Full knowledge of Quality roofing material replacement. Attention to drip edges and roofing flashing to protect areas prone to leakages around skylights etc..
Eaves and Gutters replacement and maintenance. Our safety equipment, employee training and safety incentive programs are state of the art..
​Repairing roofs is our business. We have been fixing roofs in Kitchener for many years. Our full understanding of: seam and access points, flat roof construction, roof drainage, drip edges, exhaust vents, flashing, underlays, gutters, pitched and flat surfaces and assessing damage from fires in order to repair roof damage accurately and safely means you need to call us first. Flashing joints around vents, chimneys, skylights and any other roof protrusion must be carefully dealt with as well. ​​Roofing services in Kitchener Waterloo and area.